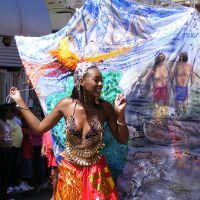 With our festival calendar you will learn about the most exciting festivals that take place in Dominica. Interesting customs and traditions, bright colors and an unforgettable experience are waiting for you! in the category "Carnivals". Takes place from February 11, 2013 to February 12, 2013 in Roseau, Dominica.